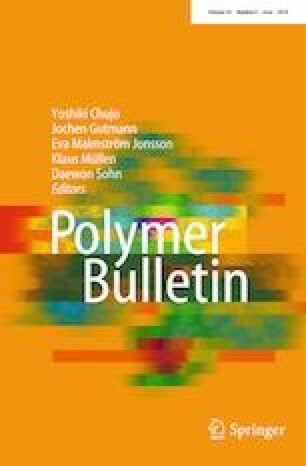 To proceed with the electrospun poly (caprolactone) (PCL)/gelatin (Gel) combinations, the current research was aimed to explore the incorporation of cellulose nanofibers (CNF) into the PCL/Gel blends for the first time. Accordingly, various amounts of CNF were added to different ratios of PCL/Gel, and the corresponding electrospun nanocomposites were examined. Observing morphology via scanning electron microscopy proved, unexpectedly, increasing fibers diameter upon CNF addition into PCL/Gel blends. Mechanical analysis in tensile mode revealed more brittle electrospun PCL/Gel when more Gel was included into the blend due to higher Young’s modulus and lower ultimate tensile strength and strain at break. Addition of various contents of CNF led to strain reduction while displayed a summit-like curve for UTS and modulus, where registered maximum values at 2 wt% CNF for all PCL/Gel/CNF. Among the electrospun nanocomposites the highest UTS (3.24 ± 0.22 MPa) belonged to sample including 70 wt% PCL, 30 wt% Gel, and 2 wt% CNF (P70/2CNF), while P30/2CNF recorded maximum modulus (93.89 ± 10.44 MPa). The wide-angle X-ray scattering confirmed increase in PCL crystallinity upon CNF incorporation Furthermore, the presence of PCL, Gel, and CNF in electrospun composites was confirmed with Fourier transform infrared spectroscopy. Degradability of electrospun nanocomposites was carried out in PBS solution, which showed that CNF addition reduced degradation rate of PCL/Gel blends.